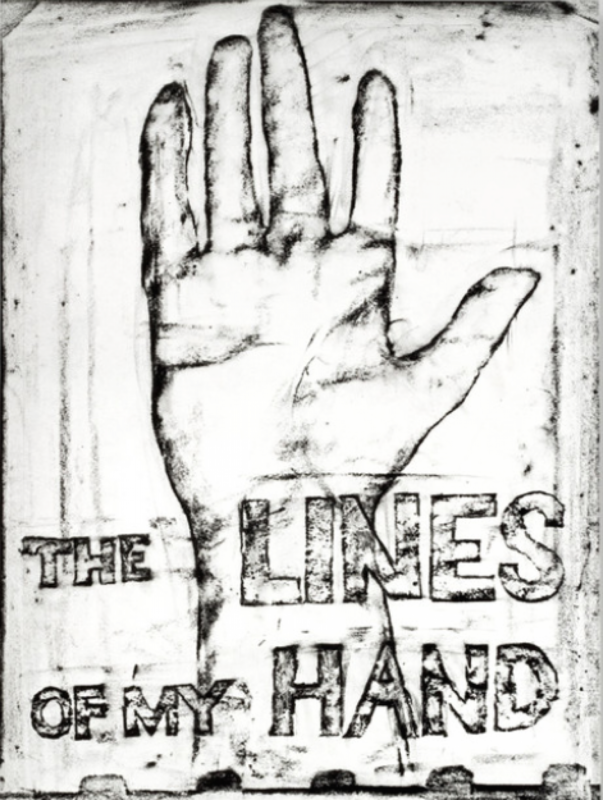 The Lines of My Hand is structured chronologically and presents selections from every stage of Frank’s work until 1972 – from early photos in Switzerland in 1945-46, to images of his travels in Peru, Paris, Valencia, London and Wales, and to contact sheets from his 1955-56 journey through the US that resulted in The Americans and made him famous. 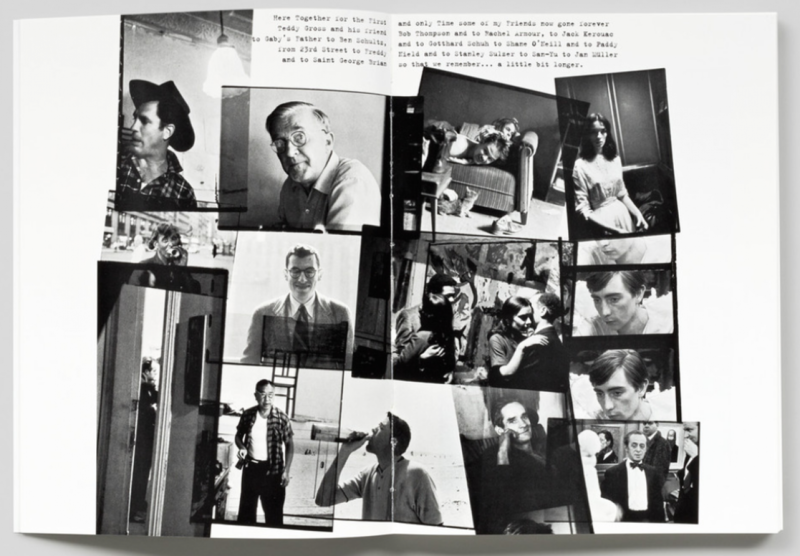 Here too are intimate photos of Frank’s young family, later photo-collages and stills from films including Pull My Daisy (1959) and About Me: A Musical (1971). 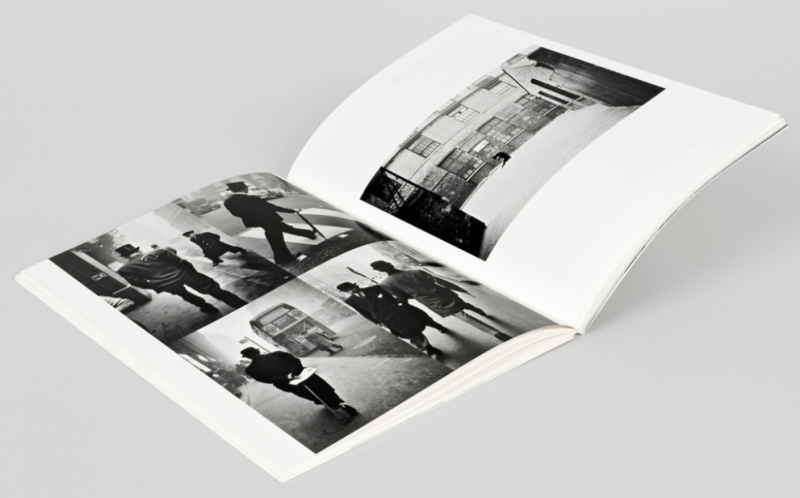 This structure itself mirrors the rhythm of Frank’s life but it is his short personal texts, like diary entries, that fully bring his voice into the book. 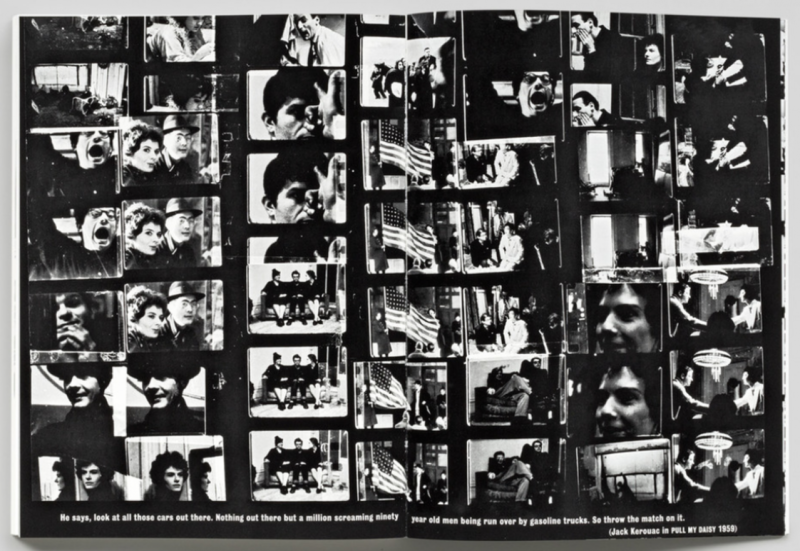 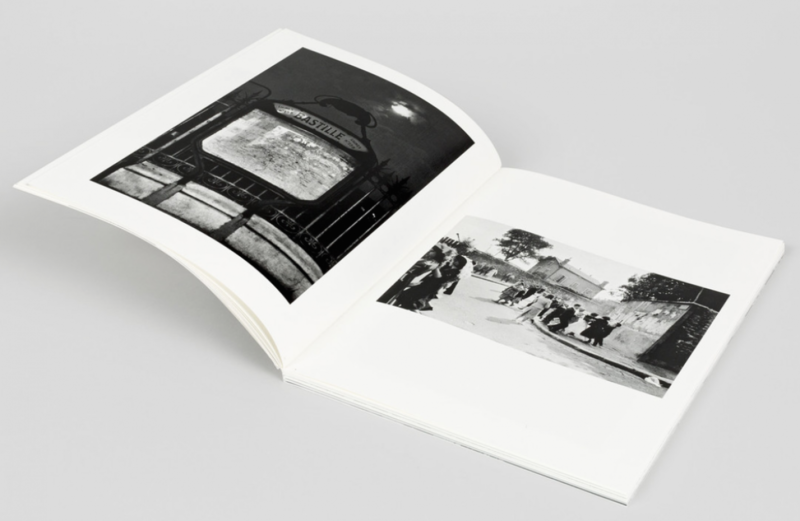 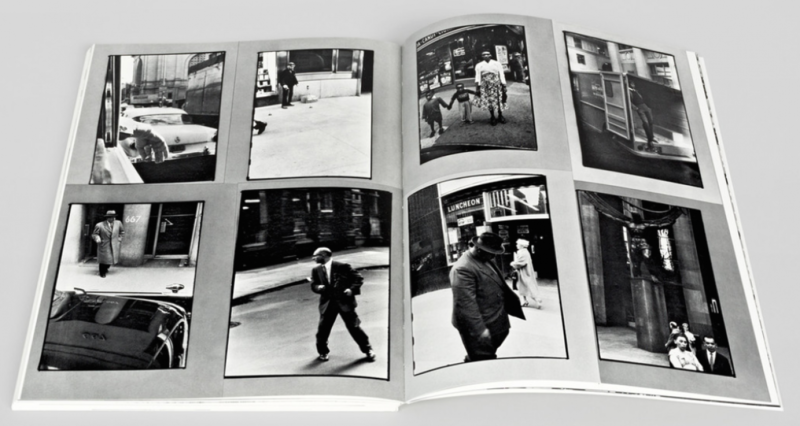 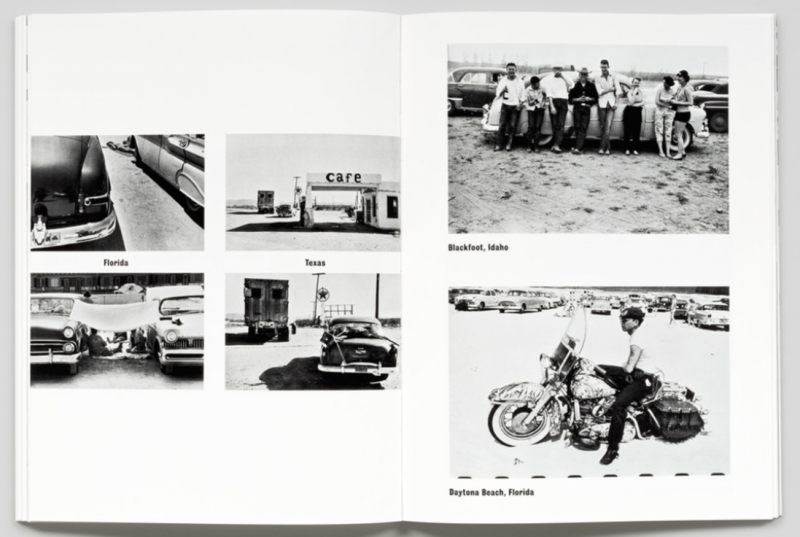 In its original combination of text and image, its fearless self-reflection, and its insistence on photography and film as equal though different aspects of the artist’s visual language, The Lines of My Hand has become an inspiration for many photographers – not least Robert Frank himself, who continues and expands this approach in the visual diaries he makes today.